The easiest way to explain how you can live and work in the U.S. is to give a summary of U.S. immigration law. This is the “big picture.” Once you see all of the possibilities, it can help you decide which option will work best for you. U.S. Immigration has two main categories: permanent residence visas (also called “immigrant visas” or “green cards”) and temporary residence visas (also called “nonimmigrant visas”). 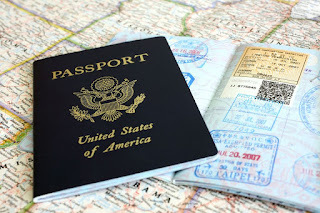 A permanent resident visa, or green card, is normally what people want, because it permits PERMANENT residence in the U.S. A person with a green card can generally live anywhere in the U.S. and can work for anyone without restriction. But, a green card is difficult to get. To qualify for a family sponsored green card, you must have a very close relative who is a U.S. citizen or permanent resident (green card holder). Husbands and wives of U.S. citizens, parents of U.S. citizens, and children under the age of 21 of U.S. citizens (including step children) have top priority and can qualify for a green card relatively quickly. Other family members, such as husbands and wives of permanent residents, children over the age of 21 of U.S. citizens and permanent residents, and brothers and sisters of U.S. citizens can also qualify for family sponsored green cards. But, these family members must wait for a green card to be available (there are waiting lists), which can take anywhere from five to 15 years! EB-1: for aliens with extraordinary ability, outstanding professors and researchers, or multinational business managers and executives. EB-5: for aliens who invest $1 million and create 10 new full time jobs (in limited situations, an investment of $500,000 and the creation of 5 new jobs is acceptable). Processing times for employment based green card vary widely. An EB-1 or EB-5 application can be approved in less than 1 year. However, an EB-3 application could take more than 5 years. The green card lottery (diversity green card) is a government program designed to increase immigration from countries that do not produce a large number of immigrants to the U.S. Only people born in certain countries can qualify (for example, people born in Canada, Mexico, England, India, China, and the Philippines can not participate). Each year the government selects 100,000 winners for 50,000-55,000 green cards. The government assumes that some winners will not qualify. The time to enter the green card lottery changes every year, but it is usually between October and December. For more information, see the government's Diversity Immigrant Visa Program. Our firm does not handle applications for political asylum or refugee status. However, this is one way to qualify for a green card. To qualify, an applicant must prove he or she has been persecuted in the past or has a well founded fear of persecution in his or her home country based on race, religion, nationality, political opinion or membership in a particular social group. Asylum applicants may apply for asylum even if he or she entered the U.S. illegally or if he or she is in the U.S. on an expired visa/I-94. Generally, asylum applicants must apply for asylum within one year of their arrival in the U.S. but there are several exceptions which will allow the filing of an asylum application after one year. B-1/B-2 Visitor Visas, which permit a visitor to remain in the U.S. for up to six month (employment is not permitted). E-2 Treaty Investor Visas, which permit investors from certain countries to invest a substantial amount of money and acquire a controlling interest in an active U.S. business. The visa is issued for up to five years and is renewable. The investor can work in his or her own business. The spouse can qualify for an unrestricted temporary work card. Children up to the age of 21 can accompany the parents and attend school, but cannot work. F-1 Student Visas, which permit foreign students to attend U.S. educational institutions. Limited employment is permitted in some cases. H-1B Visas for Workers in Specialty Occupations, which permit employment of professional level workers by a sponsoring employer. The visa is issued for up to three years and can be renewed another three years (additional renewals are possible in some cases). J-1 Visas for Participants in Exchange Programs, which permit business trainees to come to the U.S. to learn about an occupation or profession for up to 18 months. K-1 Visas for a Fiancé(e) of a U.S. citizen. K-3 Visas for a Spouse of a U.S. citizen. L-1 Visas for Multinational Managers, Executives and Specialized Knowledge employees who are being transferred to the U.S. by a related international company. O-1 Visas for Aliens with Extraordinary Ability who are seeking temporary employment. This visa is issued for up to three years and can be renewed in one year increments. P-1 Visas for Internationally Recognized Entertainment Groups and Athletes. R-1 Visas for Religious Workers who are being transferred to the U.S. by a related international church. TN Visas for certain professional workers from Mexico and Canada. This visa is issued for one year and can be renewed in one year increments. Deciding which type of temporary visa to apply for is usually based on the question: Do you want to work for someone else or do you want to have your own business?